The secret for beautiful skin lies in supplementing the skin with proper hydration. Therefore moisturiser is one product every individual must use. No matter they are men or women or children or what skin type they have, moisturizing the face and body is a compulsory thing to do. Now choosing the right moisturiser according to their skin type becomes a difficult task. I have an oily T-zone and so I have been on a hunt of non-greasy moisturiser for a long time and then settled with Lever Ayush suwarna poshak. 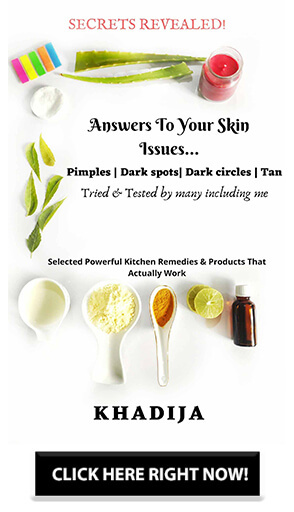 If you have read my skincare posts you must be knowing that I have been using that for over 1 year and was completely satisfied with that as it was ayurvedic. I personally prefer natural and organic products but Dove beauty cream blew my mind and currently I am using this as my daily moisturiser ? so let’s get into the review now. Now coming to the consistency, it is neither too thick nor too light but very light on the skin. And once I rub it on my face, it gets absorbed immediately, like in seconds. This is the reason why I am loving this cream. Dove beauty cream is perfect for oily to combination skin. It moisturizes even the dry skin. So I can say Dove beauty cream is suitable for all skin types. It is non-greasy and very creamy in texture. You will get a matte finished soft skin after application. I have noticed that certain creams are not greasy while applying but as the time passes it makes the skin oily and sticky. But it is not the same with Dove beauty cream. So it has passed this test also. You can use this on your body also. A little amount of product is enough for getting a supple and hydrated skin. So the product is going to last for a longer period of time*yayyyy* It has a mild and typical dove type fragrance. One of the biggest fears for those who have acne prone skin is will it cause break out? Then the answer for it is a big NO? Yes you can use it without any fear. It did not cause any break outs on my skin. If you have oily to combination skin and do not wanna make your skin look and feel further oily then Dove beauty cream is something you should try. And if you have a dry skin then get a soft and smooth skin by using a little amount of product. On a whole, I strongly recommend every one of you to try this. That is it for now. Have you tried this? Are you going to buy this? Do let me know in the comments below. If you have any queries or doubts then feel free to ask me in the comments or dm me on Instagram? If you liked this then please follow and subscribe me and stay tuned for more such reviews. It should be like a perfect base to start make up, keep skin nourished and help in skin maintenance forever. Dove beauty cream is one such kind. Even though its description is difficult to interpret because of the language used yet I would describe it a perfect beauty cream. It’s infused with the goodness of mineral oil and cocoa butter which are highly recommended by skin experts for their skin hydrating properties plus its completely free from parabens. Can we offer Namaaz after applying this cream as it contains Cetyl Alcohol?and Alcohol is not permittible in Islam. Can we offer Namaaz after applying this cream as it contains Cetyl Alcohol and Alcohol is not permittible in Islam. Nice review Khadija. My combination skin needs it. It’s not very pricy too. Dove is the best drugstore company which I can trust my skin on!!! Nice review. I am surely going to try it. The packaging reminds me of Nivea creme. Nice review.